There is always something artsy or literary happening on the Oregon Coast. That’s one of the reasons I picked Newport, Oregon, to retire. 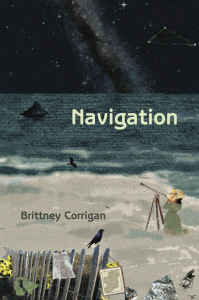 This weekend the Nye Beach Writers is hosting Brittney Corrigan, poet and writer from Portland, Oregon. (Jan. 16, 2016 at 2.p.m. at the Nye Beach Visual Arts Center. General admission is $8; students are admitted free. Open mic to follow). Brittney is the author of the poetry collection Navigation (The Habit of Rainy Nights Press, 2012) and the chapbook 40 Weeks (Finishing Line Press, 2012). 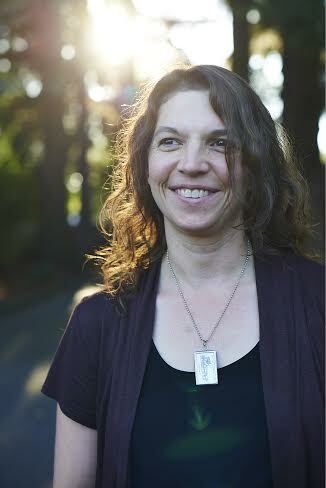 Her poems have appeared widely in journals and anthologies, and she is the poetry editor for the online journal Hyperlexia: poetry and prose about the autism spectrum (http://hyperlexiajournal.com/). Brittney lives in Portland, Oregon, where she is both an alumna and employee of Reed College. You can find all this information in her bio, but here is something you may not know. A writer was not something I became – it’s something I always was. I’ve been writing since I was a kid. I started with short stories and poetry, and over the years my focus turned to poetry almost entirely. But it was my high school English teacher who most encouraged me and made me believe that it was who I really was at my core. I don’t have a specific routine. I have two children and a full time job, so I write in bits and pieces whenever I can make the time. I carry poems around in my head for a long time before they make it to the page. Being part of a writing group that meets regularly also helps to keep me motivated and generating new work. 3) How many drafts before you feel a poem is finished? Since my poems gestate in my head for quite some time, they usually only go through 1-2 drafts. The best thing was seeing the publication of my first book and first chapbook both in the same year. I wouldn’t say that I have a worst thing, but the most challenging part is finding large stretches of time to focus on writing, especially now that I’m working on a new manuscript. 5) What part of writing do you love the most? Hate or dislike the most? I love the excitement that comes when a new poem is pouring out of me onto the page after turning it over and over in my mind for so long. If I have to pick a dislike, it would be how difficult it is for new poets to get books published and find an audience. 6) What do you like to read? Do you read while working on poetry? Favorite authors? I read plenty of poetry (which is very inspirational for my own work), but I also love fiction, particularly novels written in the magical realism style. My favorite poets are Sharon Olds, Joy Harjo, Naomi Shihab Nye, Natalie Diaz, and Deborah Digges. My favorite novelists are Tom Spanbauer, Barbara Kingsolver, Erin Morgenstern, and Ann Patchett. The best advice I’ve had over the years is to just keep at it when it comes to both writing and publishing. The world of a poet is stacked high with rejection letters, but it’s important to keep sending the work out there into the world. I don’t have any specific memories of bad advice. I would say the poet Maxine Scates, who I have worked with off and on since college in classes, workshops, and on my senior thesis at Reed College. She is a gifted poet and teacher, and her guidance has been invaluable to my own writing process. Not specifically, but I’m riddled with OCD tendencies, so superstition runs strong in my veins! Well, my day job is an event planner at Reed College, where I work with faculty members on the public lecture series on campus. And I absolutely love it. I’m working on a new manuscript titled Daughters, a series of persona poems that reimagine characters from mythology, folklore, fairy tales, and pop culture from the perspective of their daughters—characters such as Bigfoot, the Mad Hatter, Medusa, and Dorothy from the Wizard of Oz. Taking on such topics as aging, rebellion, loss, abuse, and judgment, the voices of Daughters aim to turn the reader’s conceptions of the characters on their ends and throw light upon what it means for a girl to come out from under her parents as a woman of her own making. I would travel before having children. I would love to see Ireland in particular. Find a writing group or partner, develop your writing discipline, and read, read, read! I have a soft spot for rescuing feral cats. And, what would you like us to know about your latest release? Both of my books were released in 2012. Info on those is at http://brittneycorrigan.com/. A sample poem from Daughters can be found at http://brittneycorrigan.com/poetry/daughter-poems/. 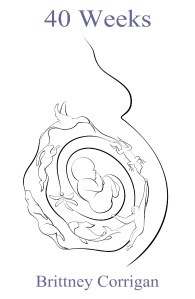 Published poems available online and forthcoming can be found at http://brittneycorrigan.com/about/publications/. This entry was posted in 15 Things, Bonnie's Blog, year 2016 archives and tagged Bonnie Dodge, Brittney Corrigan, Nye Beach Writers on the Edge, poetry.